Chore-Time recently celebrated a ribbon-cutting ceremony to mark the official opening of its $7.1 million building expansion. On Friday, October 30, Chore-Time celebrated a ribbon-cutting ceremony to mark the official opening of its $7.1 million building expansion. Milford and county officials who helped cut the ribbon included Milford Town Council members Bob Cockburn and Doug Ruch, along with George Robertson from Kosciusko Economic Development Corporation, Bob Jackson, County Commissioner and Alyssa Lowe from the Kosciusko Chamber of Commerce. Also participating in the ribbon cutting were Dan Robinson, Brent Robinson and Dan Reynolds from Robinson Construction, company personnel from Chore-Time and CTB, and local media. The expansion features 45,000 square feet (4,180 square meters) of floor space, five new truck docks and a new truck drive along the north side of the Chore-Time plant. Six new fabrication machines were purchased as part of the project along with a variety of material handling and assembly fixtures and warehouse racks. 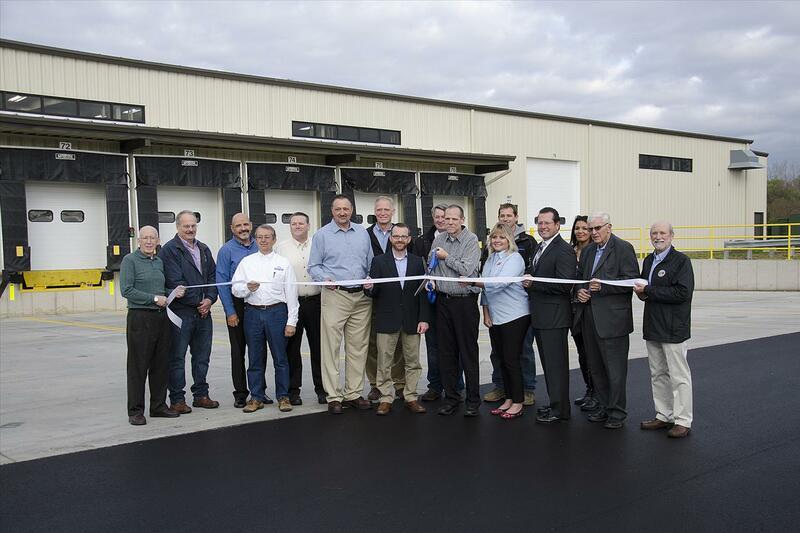 The addition to Chore-Time’s existing facilities in Milford was designed to improve the flow of raw materials into the building and the efficiency of manufacturing processes and delivery performance. As the project progressed, Chore-Time added approximately 80 full-time employees to its ranks. A celebration event for Chore-Time employees is planned later in 2015. The expansion project was announced in late 2014 with ground breaking taking place soon afterwards. The new space brings Chore-Time’s total square footage in Milford to 395,000 square feet (36,700 square meters). Employees, machinery and inventory moved into the new space in July and August, and the project is now essentially complete. A few finishing touches, such as landscaping, are still planned. Chore-Time has been a leading designer, manufacturer and marketer of poultry and egg production systems since 1952. With a complete line of solutions for feeding, feed handling, drinking, egg handling, climate control and management systems, Chore-Time is known for its revolutionary new concepts, innovative features and extensive independent distribution network. Chore-Time manufactures products for the pig industry as well and sells these through CTB’s PigTek Americas business unit, also located in Milford. Part of the CTB, Inc. family of companies, Chore-Time operates globally from facilities in Indiana, Alabama, the Netherlands and Poland. CTB is a Berkshire Hathaway company.